Meadow Brook PTA Presents a $500 Check to Meadow Brook for the Arts! Yesterday during our Springville/Mapleton Area PTA meeting, Meadow Brook's PTA presented a check to Miss Ball for $500 for the Arts! We are grateful for all of the hard work of our PTA; they certainly make our school a better place to be! 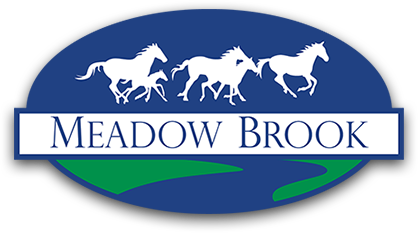 Read more about Meadow Brook PTA Presents a $500 Check to Meadow Brook for the Arts! In Mrs Peterson’s 2nd grade class we are learning all about the night sky! One of our lessons included learning about the different constellations you see at night! To learn about these constellations, our class had to find QR codes around the room to scan. This would bring them to a video that would teach them all about a specific constellation! Next time you’re outside, see if your 2nd graders can find a constellation in the night sky! Today we started our third term, which means half of the school year is already over…this year is flying by! I am grateful for the goodness of our wonderful students and staff; I have learned so much from each one! Fourth graders in Mrs. Simpson's class working with place value blocks to figure out how the division algorithm works. Last week we were excited about the number of students interested in our before/after school programs. We will continue to look for ways to accommodate more students. If you have received a confirmation e-mail, you need to pay your fees before January 12th. This month we recognized many wonderful superheroes in our school community. Congratulations to Mrs. Defa, our amazing librarian, and to Mrs. Jurkatis, a fabulous first grade teacher! They are superheroes at Meadow Brook because they are kind, happy, and always willing to have fun. They love and help students and stafff members, too. We also want to congratulate all of our amazing student winners for making great choices. We are excited to announce that after/before school clubs start 3rd term. You are welcome to sign up your child for as many programs as you would like. We know classes might fill up quickly, so it will be first come first serve. If you are registering multiple children, please fill out a form for each child.